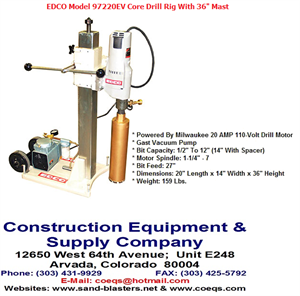 EDCO Model 97220EV Core Drill With 36" Mast & Vacuum is one of many tools EDCO Is proud to offer as a wide selection of core drilling equipment for professionals nationwide. Whether you’re in search of reliable hand-held diamond core drills, heavy-duty drill stands or diamond core bits for any type of material, from tile drill bits to stone coring bits, we have all of the products you need for any type of wet or dry coring operations. 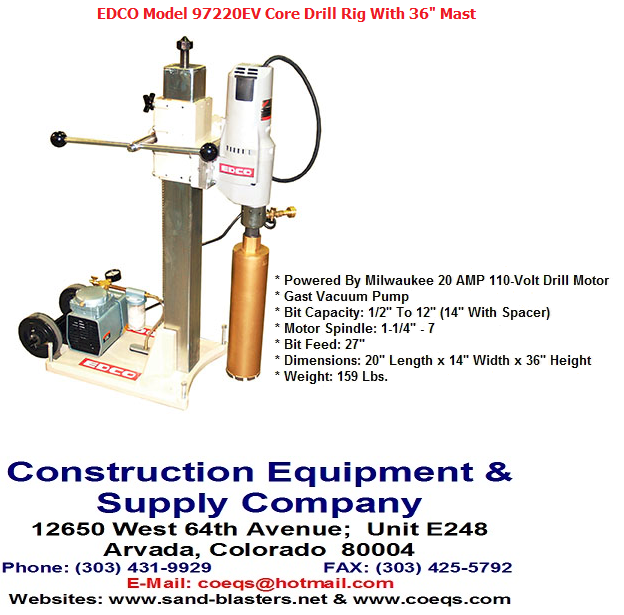 This EDCO Model 97220EV Core Drill With 36" Mast & Vacuum portable drilling equipment utilizes a 20 amp Milwaukee drill motor with dual switch control, leveling screws, a ceiling jack and an optional Gast vacuum pump. 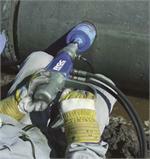 The 97220EV is ideal for plumbers, railing installers, sign installers, welders and concrete core engineers. 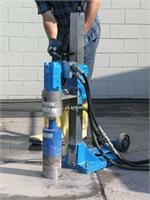 The 36" Concrete Core Drill Rig has an extra heavy-duty walled 3-1/2" square, zinc-plated tube column, which is the largest in the industry. 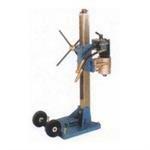 The brass wear strips and easy carriage adjustment allows for precision tolerance drilling. 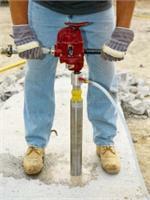 This core drill rig comes standard with a vacuum anchor base, premium large 6" diameter wheels and 12" diameter drill bit capacity, which is expandable in 2" increments with optional motor spacer blocks. 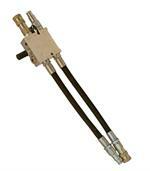 The electric circuitry is incorporated into the conveniently located ammeter control center.